My first moth sighting of the year, a Half-wing Moth, Phigalia titea. 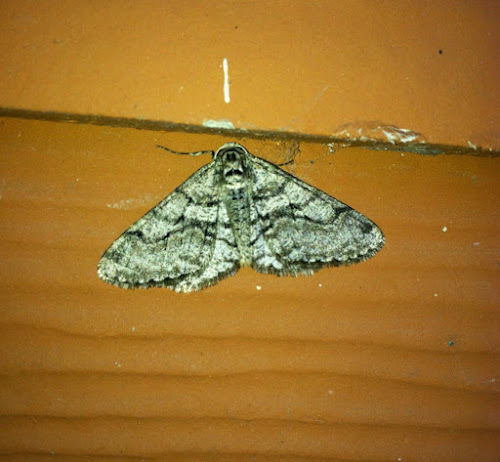 It's one of the various Geometrid moths that is adapted to flying in cold weather. 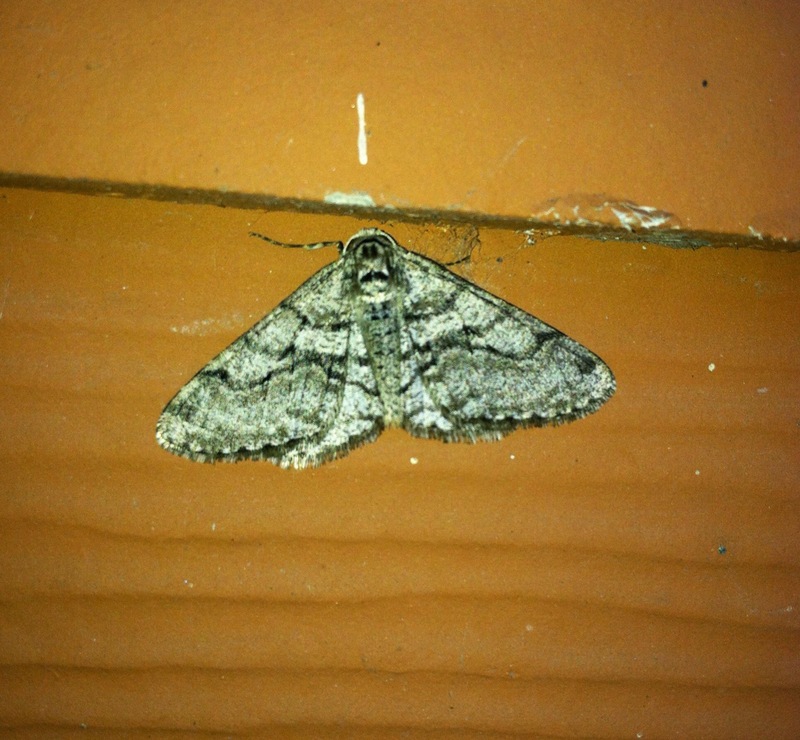 There is another very similar moth, P. strigataria. It features a slightly more zig-zagged postmedial line at the outer margin.